Alter The Press! 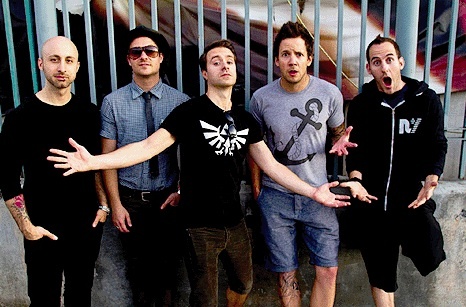 : Simple Plan Release New Song "Saturday"
Simple Plan Release New Song "Saturday"
Simple Plan have released a brand new song titled "Saturday," which can now be streamed below and purchased via iTunes. The track is taken from the band's (yet to be titled) fifth studio album that is due out later this year. Don't forget, the Canadian pop-rockers will be appearing at various festivals this summer, including five stops of the Vans Warped Tour. Dates and ticket information can be found here.